Automotive components are one part of a continually growing business in plastic parts. Whether you open the door to your mailbox or to your new Mississippi-produced Nissan Titan, you might be handling the work of Richardson Molding. As is often the case with automotive suppliers, Richardson is a versatile manufacturer, equally at home making covers and vents for batteries as they are making door handles and other parts for cars. As long as it’s injection molded plastic, there’s a chance its in Richardson’s area of interest. Richardson is headquartered in Indiana, but currently its Philadelphia, Mississippi plant is a Tier 2 supplier to Nissan and a Tier 1 supplier to Kasai, North America, which maintains a plant in Madison, Mississippi, as well as Alabama, Tennessee and Ohio. Kasai makes interior products for cars, including trim for doors and roofs. Since locating in the U.S. in 1986, the company has been expanding worldwide. The path to automotive was a long one for Richardson Molding says Bill Johns, manager of the 150, 000 square foot plant, located on 25.4 acres. Johns is expecting to help oversee a $5.256 million expansion of the Richardson plant which is expected to create 53 new jobs. In fact, Richardson Molding is a leading maker of proprietary and custom plastic injection-molded products for the industrial lead-acid battery market, producing more than 8 million containers for batteries every year. The company began in 1858 in Des Plaines, Illinois, making paper and paper products before turning their attention to wooden battery cases in 1910. The company introduced its thermo plastic battery containers in 1968. Earlier this year, Richardson ceased mailbox production, but the automotive aspect of their business lives on. 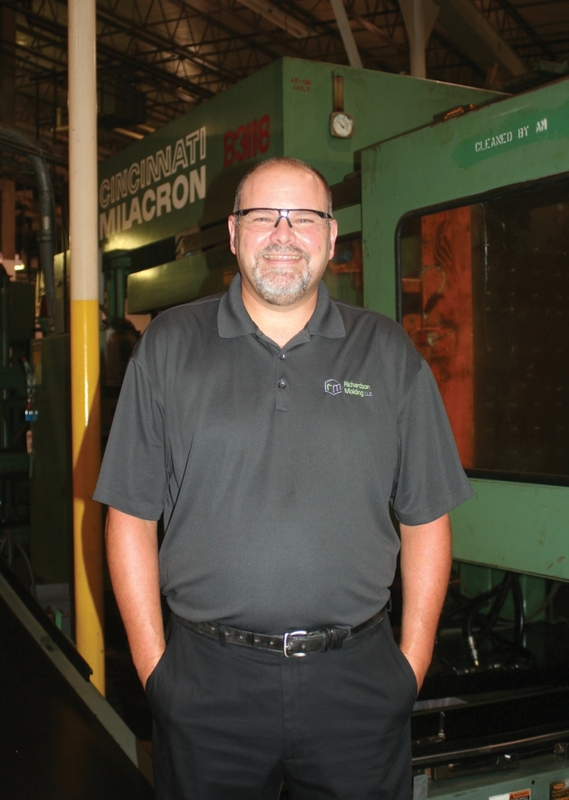 A big indicator of how much automotive is expected to figure into the company’s future: Richardson hired Johns, who has worked in the injection molding business for 25 years. Before Richardson Molding, he worked for International Automotive Components in Anniston, Alabama. With a product line that runs from plastic containers to anything made out of PVC, Richardson continues to diversify. That’s what was behind its move to automotive. Richardson’s website suggests that the company’s more than 130 years haven’t made it complacent. “Even though we’ve been around for a long time, we feel like we’re just getting started, ” the company proclaims. But it does take pride in its longtime in the business. “The longevity of the employees here [in Philadelphia] is mindboggling, ” Johns says. “We just celebrated our 40th anniversary about a month ago, and …I recognized 8 employees that had 40-plus years here. And then, I’ve got another 42 employees right now that have over 30 years. Richardson offers apprenticeship programs, which Johns promoted last month with Neshoba Central High School teachers to give opportunity to local students. Apprentices are expected to be dependable, hard working and to pay attention to detail and develop good communication skills, according to Johns’ presentation. Not surprising, then, that Richardson has a strong team sensibility and tangible connections to the community. The company participates in monthly economic development meetings with other businesses in the area, and takes pride in events like a golf tournament that raises money for cancer treatment. Richardson, Johns says, is “very much a family-oriented company, ” which he hopes will matter to automotive clients – along with the experience level maintained by such a stable workforce. “In my automotive past, our turnover rate at a lot of the companies was so extreme to where… you’d bring in 20 people and you’d have to turn over 18 of them within a month. But that’s just not in existence here, ” he says.